Want some context? 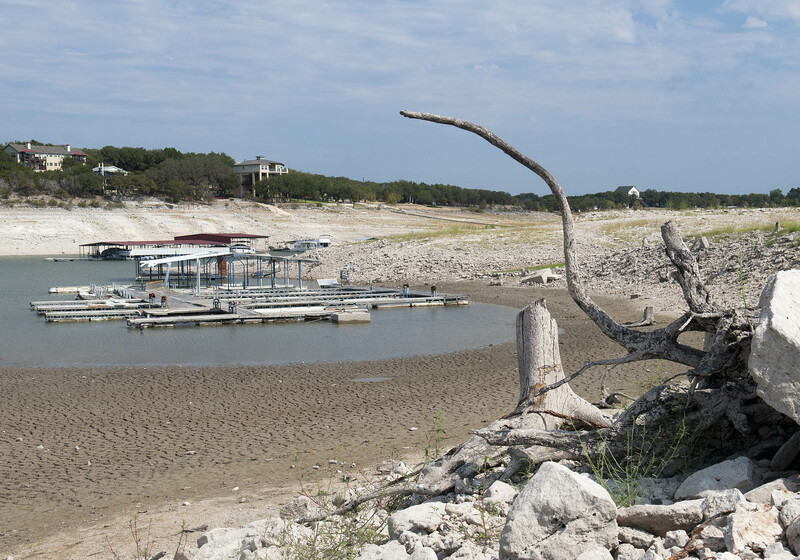 Before you dive in below, click here to learn more about Texas’ drought response planning policies. 1. Drought contingency plans should incorporate the severity of meteorological conditions, or other similar indicators of drought intensity, into the triggers for drought response stages and water use reductions tied to those stages. The triggers chosen for the implementation of different stages of a drought contingency plan, such as lake or aquifer levels, often do not take into account the relative severity of climatic conditions, an oversight that can delay meaningful responses to drought far too long. For example, with the severe drought conditions of 2011, many communities did not trigger drought responses until well into the summer, after large amounts of water had been inefficiently applied to lawns and reserves had already been driven uncomfortably low. The prudent reaction to such severe conditions would be to initiate drought response measures earlier if a combination of recent rainfall and near-term climate predictions indicates an unusually severe drought is at hand. 2. Water suppliers in a given area should develop a coordinated approach to drought contingency planning and management to reduce confusion among residents and increase the effectiveness of drought response strategies. There is often a lack of consistency in drought contingency plans and implementation of those plans within the same geographic areas, even when water suppliers are using the same source of supply. For example, during 2011, the City of Houston required homeowners buying water directly from the City to comply with drought restrictions. However, other homeowners, who bought water from another water supplier that, in turn, purchased water from the City of Houston, were never required to comply with any drought restrictions. This meant that different homeowners were subjected to inconsistent drought requirements, despite relying on the same source of supply and being located in the same area. As a result, homeowners on one side of the street could be subject to restrictions on lawn watering, while homeowners on the other side of the street would not be subject to any restrictions. Such situations are inefficient, inequitable and undermine public support for critically important drought restrictions. 3. Water suppliers should incorporate an appropriate drought period “surcharge” for high water use for non-essential purposes as part of their drought contingency plans. Water suppliers’ concerns about the potential for lost revenue may discourage critically necessary water use reductions during drought. A drought period “surcharge” for high water use would address this concern and provide an incentive for residents to reduce consumption.